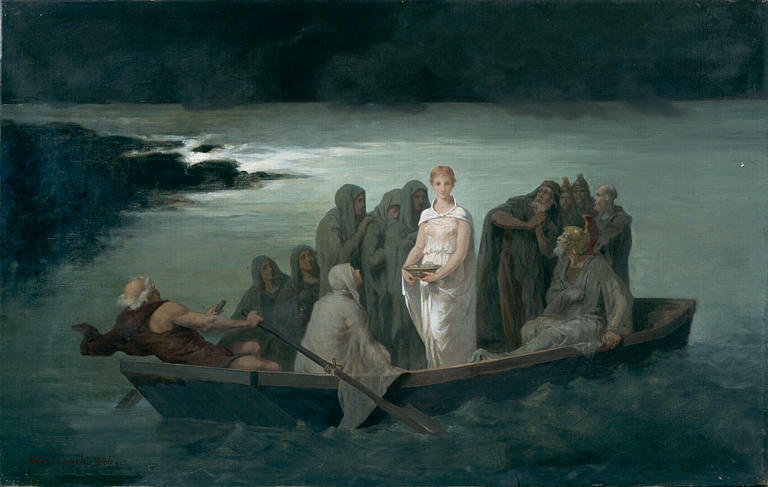 It’s as if we are the sand at the shore continually mingling with the dark waters. But we are also the dark waters crashing the shore, quickly absorbed through the cracks between the sand. In that place where the broken sand further dissolves through the repetition of ebb and surge of tidal waters, we are most alive. 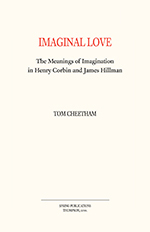 Readers of Tom Cheetham’s previous works will delight in his latest book, Imaginal Love The Meanings of Imagination in Henry Corbin and James Hillman, where he offers us a more personal glimpse of his journey of understanding, entertaining, reconciling and incorporating the disparity of ideas found in the writings of Henry Corbin and James Hillman. I admire his approach and sympathize with the need to enjoy the fruits of these great writers through what is revealed, not only through their similarities, but also where they differ. There is a necessary tension between Corbin and Hillman that if allowed to work on us, reveals deeper and more nuanced layers of understanding. Over time, when seen as part of the work we are tending, this tension transforms into a source of resonance in much the same way that string tension on an instrument makes music. Corbin in particular, focused on the necessity of there needing to be an other; an angel, or spiritual twin, which, in an ongoing relationship fostered through a practice, reveals to us the unknown, or unconscious, so necessary for keeping the soul alive and in motion. By an “other,” I take him to mean any sense of otherness in our lives, of either day world or dream world, which by their difference from us cause a triangulation that reveals another option, or a third dimension. Love often does this. It opens us up to each other in ways that reveal something new. But for Corbin, the angel is not human, but encountered in a contemplative state he referred to as active imagination. This slight revision of Jung’s idea of individuation places emphasis on the process as necessarily a relational one. It takes our care and love for the angel as “other,” something wholly different from ourselves, to open us up, thereby encountering and revealing what we can’t readily see through the singularity of our being. Here is where we can experience Ta’wil, or the lost speech. Cheetham, like Corbin, emphasizes the need for an anamnesis; Plato’s re-membering of what has been forgotten by, or lost to, the world. Through personification of an other the “not me” is revealed. The particular distinctions between oneself and an other serve as a medium of exchange, so necessary for encountering the new and the unknown. It is an essential antidote to counter the cynicism and apathy of one’s personal journey which is often loaded with the perceptual habits of whatever culture one belongs to. Modern culture places great emphasis on finding love through the similarities between us. Here, Cheetham suggests that in denying the distinctions and differences their place in an ongoing engagement which allows them to work on us, love and feeling become abstracted into generalities which are liable to literalizations and static ideas of ourselves and others. The particularity of the distinctions between us, when revealed, rather than abstracting, ground our experience into storied places, events and persons. The difficulty lies in losing the static sense of oneself and others and in seeking and expecting the new and unknown to appear. The unknown, is after all, inexhaustible. We use descriptives like “inner” and “outer” perhaps because we see and experience boundaries between things, places and people. To a large extent our language creates boundaries; a digital paving on an analog world. But, also, so do our individual bodies and the mortality of our finite life span contribute to the sense of boundaries. Using the poetry of Rilke, Whitman and others, Cheetham emphasizes the need to see through these artificial and conventional boundaries. When we do, the world’s aliveness opens up to us, as does our sense of identity. A necessary, but false construct called “me” and “you” are seen through. Our sense of ourselves and others can then expand and extend beyond ordinary boundaries to where one can sense and feel that we are the cosmos; an expression of the totality of the universe and whatever lies beyond. that I can see farther into paintings. Cheetham, Tom (2015-03-24). Imaginal Love: The Meanings of Imagination in Henry Corbin and James Hillman. Spring Publications. Kindle Edition. Having just returned from attending a four day Dream Retreat, I want to share a little about the experience I had there. Out of respect for the tribe that gathered, and the impossibility of ever fully articulating the essence of what transpired between us, I’ll share an experience that relates to what I have been writing and sharing here with you, my WP tribe. 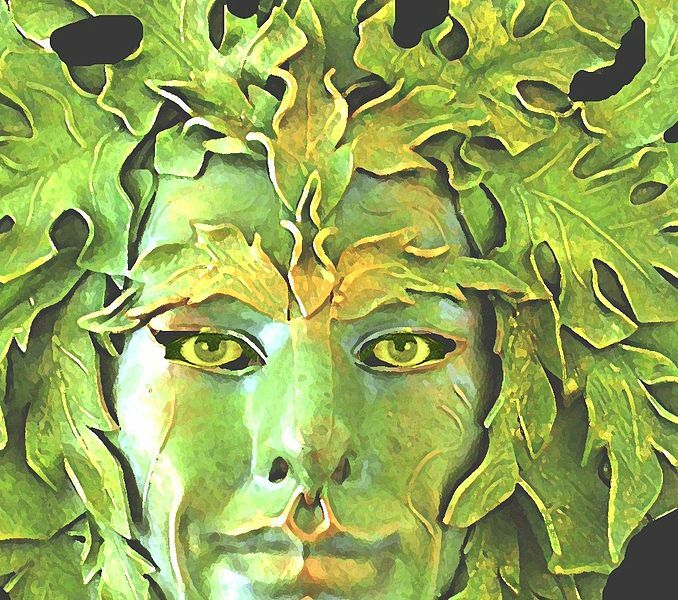 We were given the image of the Green Man, a figure who I have recently become quite fascinated with, for one of the active imagination sessions. I suspect he might have had a voice in a recent post of mine, Wild Child. The Green Man is an archetypal expression calling attention to our relationship to the natural habitat of the woods as a necessary source of life and creativity. 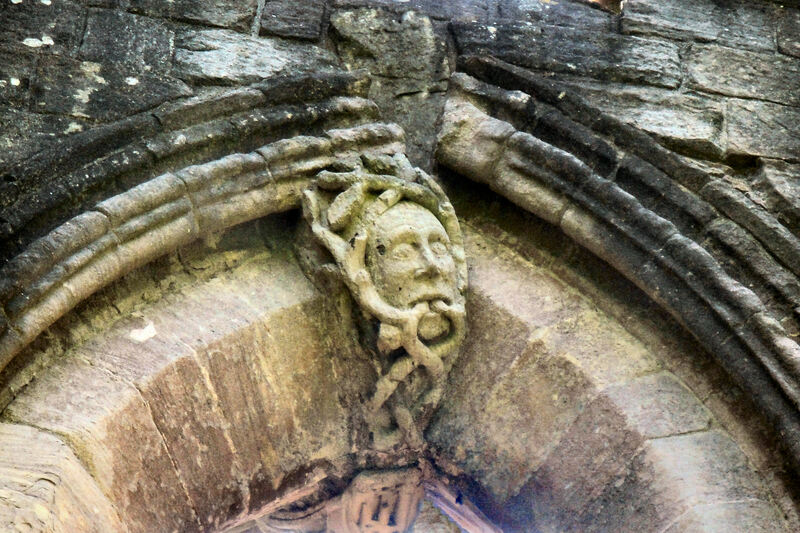 The Green Man has made appearances in stories around the globe through both pagan and Abrahamic religious imagination, leaving behind a trail of art and symbolism in Europe and the Near-East. 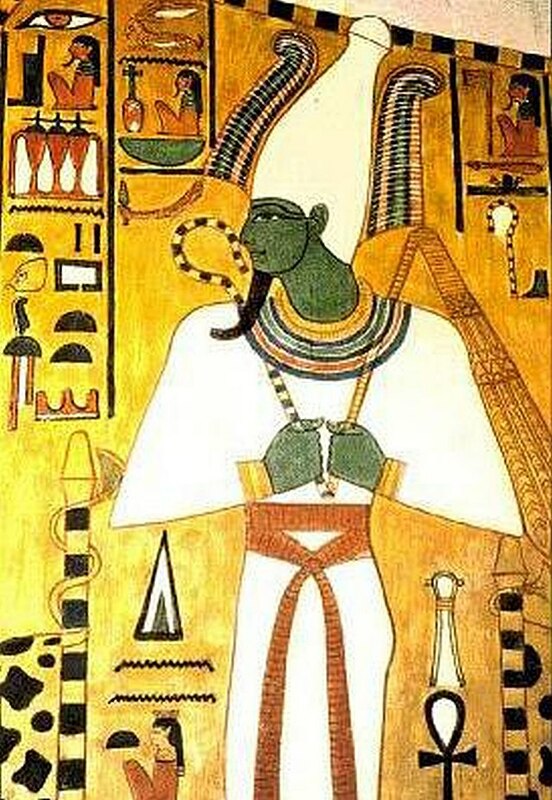 I first heard (and have even written) about him a few months ago through Tom Cheetham’s book, GREEN MAN, EARTH ANGEL, The Prophetic Tradition and the Battle for the Soul of the World, in which Tom writes about Khidr, the Verdant One, how he is known in Sufism. 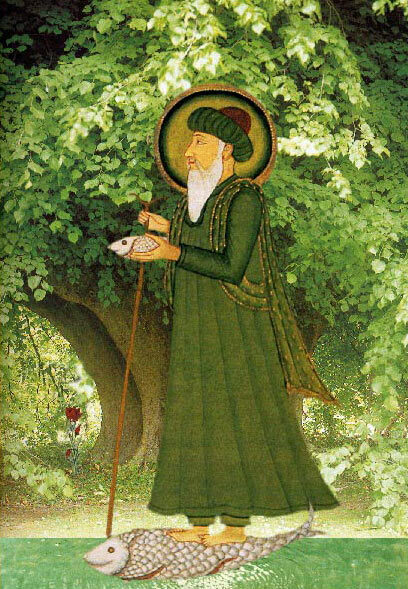 In Sufism, Khidr, a contemporary of Moses, is known as the righteous servant of God. Cheetham sees the Green Man as mediator between the world of matter and spirit with a power to heal the schism between the two worlds. Along with spiritual hunger, the idea of matter as demonic, can be seen in our civilization that’s seemingly going mad. We speak of being too materialistic, outwardly focused, shallow in our relationships, wasteful and destructive in our use of precious resources. But at the same time, a heightened sense of the material world seems to be calling us “back to nature.” The call of the wild, the desire for closeness to nature, greater awareness of diet and the environment are all perhaps expressions of a need to redeem matter and reflect on our distinctions between matter and spirit. Cheetham sees here a need to reconsider these distinctions between matter and spirit, doing a sort of flip-flop around our ideas of them. Giving weight to both images and our subjective world, and in turn, imaging the weightiness, or to all that is real and objective may soften the boundaries between spirit and matter and perhaps see that, arising together, they are mutually inclusive. I close my eyes and immediately see a bright-green, leaf-covered figure of a man running in the woods away from me. I follow after him, trying to keep up. He stops at a large tree and enters into a hollow at the tree’s base disappearing from view. I enter into the hollow and begin to move downward. At first I see around me many tree roots. The world down there seems alive with bugs, worms and slimy things. The smell becomes prominent and not too pleasant. I also see small bone chips scattered everywhere, presumably human and animal in origin. I also feel a heavy psychic presence. “This is the life, the abundance that feeds you. All life will come to be part of this place. You only see the fruit, the sweetness and suffer from neglecting us. We want to be recognized, seen; our sufferings, all the things left unsaid, for they both frighten and sustain you in your life. One day you too will feed the world from this place. You’re a part of us, we feed and nourish you. Stop acting like you don’t know. Remember us and what’s gone before. You suffer from forgetting our suffering. You’re fear of us has you running away. That’s it. Perhaps the most startling line, besides the emphatic last line, was when he said to stop acting like I don’t know. I am still puzzling over that and am not sure what he is referring to, but have a few ideas. Perhaps there’s more I need to ask him and also hear your thoughts too. One clear take away from the dream retreat for me was how much our dreams and imaginings carry shared meaning. 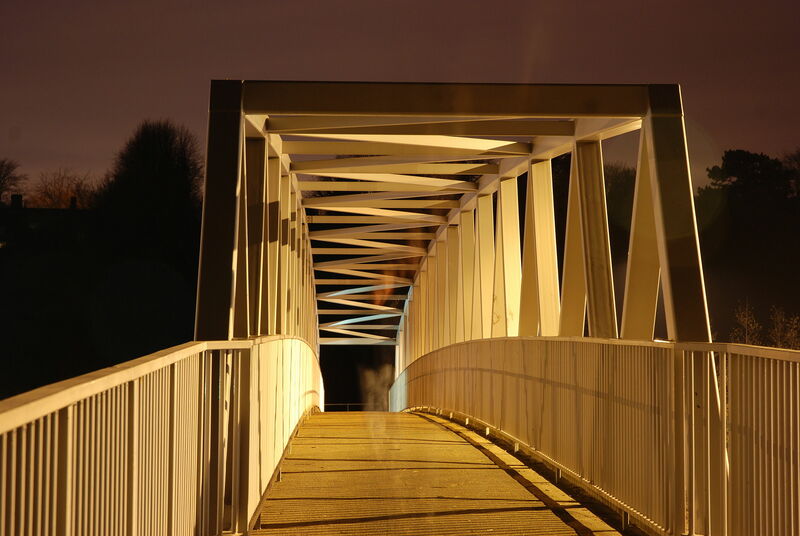 In hearing other’s dreams, and sharing my own, there was quite often a profound and obvious synchronicity of theme and image shedding light on some aspect of my life and the lives of the other participants. The retreat was a full-bodied feeling of experiencing others inside and through myself. A most amazing time I will not soon forget. Highly recommended to anyone interested who happens upon an opportunity to participate. There are no strangers, your tribe awaits! Except as noted, all quotes from Tom Cheetham. Green Man, Earth Angel: The Prophetic Tradition and the Battle for the Soul of the World (S U N Y Series in Western Esoteric Traditions). Kindle Edition. As a follow-up to yesterday’s post about James Hillman and Sonu Shamdasani’s book, Lament of the Dead, Psychology after Jung’s Red Book, I want to share a video I found on youtube of a symposium featuring several speakers and a panel discussion from 2010 that included Hillman, Shamdasani and other Jungians. It is very insightful for anyone interested in Jung’s Red Book and particularly the disagreement that later arose between Hillman and the later Jungians. Sonu is the first speaker and he recalls in detail his work as editor of Jung’s Red Book and the challenges he faced while working on the manuscripts. Sonu is followed by Hillman who offers his thoughts and insights on both the Red Book and a few personal stories about Jung, whom he knew dating back to the 50’s until Jung’s death in 1961. The symposium took place in spring of 2010, roughly a year and a half before Hillman died. He is feisty and brilliant as ever arguing that the experiences Jung recorded in the Red Book are the heart and soul of the man as Hillman understood him. He believes that Jung’s experience was so raw that he would devote much of his work in psychology to developing a conceptual language that would enable others to enter into their own experience. An experience of being directly in touch with personified powers that Jung engaged while practicing what he called Active Imagination. But Hillman believes that the concepts took precedence over the raw experience they pointed to. Perhaps Hillman felt vindicated by Jung’s descriptions of these encounters described in the Red Book. I have read elsewhere that Hillman had some fierce disagreements with many of the later Jungians who latched onto Jung’s concepts, leaving behind the importance of the rawness of Jung’s experience in favor of adhering to Jung’s concepts for use in therapy – concepts that often left the movement of the psyche or soul out of the consulting room. Hillman believed that a reliance on the concepts of ego, shadow, types, individuation, etc., take one away from the face to face encounter with the personified powers one meets in active imagination. An engagement that move these powers away from the notion of being only inside our heads. 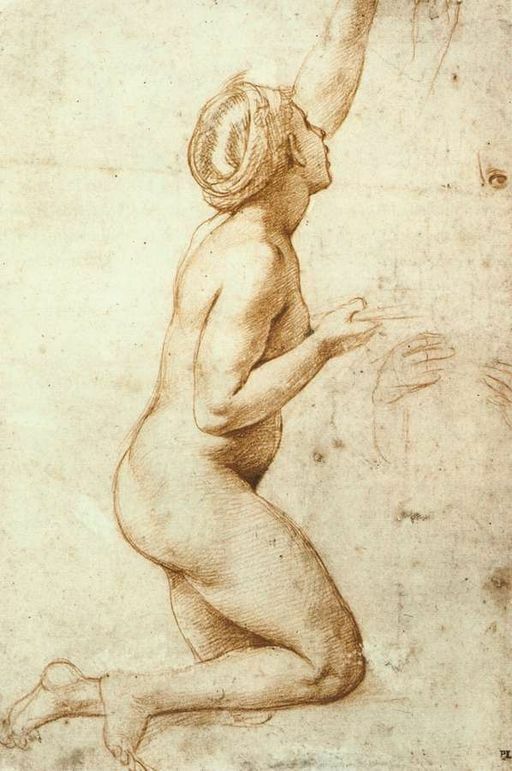 For that is what Hillman believed Jung did; meet these personifications in their world, the soul of the world, or as Plato called it, Anima Mundi.